Life’s first breath. A pause filled with potential. Then you scream. While that may be the last time parents are overjoyed at hearing the sound, it is a reality of the beginning of life, the expression of potential. Certainly, genetics, environment and education will come into play soon enough. But I invite you to consider that first event: a breath, a pause, an utterance. Or put another way: Possibility, Preparation, Sound. Our expression of music comes from this very personal space. No one can exist, sustain, or express life without it. The ancient Greeks had a word for breath: pneuma. Interestingly, this was the same word they used for spirit. They, along with people from many traditions, considered breath and spirit to be inseparable. A South American shaman uses breath as a magical curing device. A Christian mystic chants long phrases, intoning praise. Ancient mariners from many traditions considered sea winds as breath from the gods (angry or calm!). Most of us don’t think about our breathing. 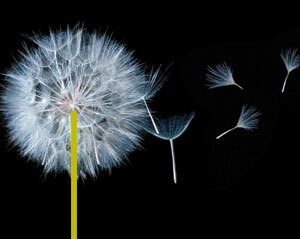 The first breath of life is followed by countless others, hopefully for many years to come. It becomes automatic, rarely in the conscious mind. When you have to think about it, you may be in trouble: out of breath, or worse–on your way to the emergency room. But the very act of inhalation and exhalation gives us our focus for movement, thought, speech and, of course, the expression life. If music indeed sings, then every musician must understand the breath. I’ve noticed that singers and players of wind instruments understand the breath better, at least from the perspective of sound production. These musicians understand that breath moves the air through an apparatus to produce sound. They learn all sorts of techniques that support good breath control, tone, and motion. I contend that string players, percussionists and pianists should also study these techniques. But all musicians need to learn to breathe with the music. And breathing involves both inhalation and exhalation. What I am getting at is that both preparation and gesture are involved. This is as vital as the actual sounding of the pitches. The intent of a note is realized as sound, but imagined in the preparation. As a conductor, and teacher of conducting, I deal with this concept every day. Not only with every preparatory beat to a phrase, but also in each musical event that I want to show by gesture. All events need preparation and support from the breath. In fact, this is how I often read a score of orchestral music. How can we connect with the breath? Well, there are many mediation techniques that can help. I find them to be excellent reminders of the mechanism of breathing as well as the inherent potential of life. It’s probably no surprise that a large number of musicians seem drawn to practices such as yoga, Zen meditation, contemplative prayer, or tai chi. I certainly recommend that everyone try one or two to see if it resonates. Specifically for music, what follows are a few techniques for both musicians and casual music lovers. Connection to the music can be enhanced by getting in touch with your pneuma! When listening to a simple piece of music, breathe along with it. (Frere Jaques, etc) Don’t play or sing yet. Just think the music in your head and breathe. Find where the natural impulse to breathe occurs. There is both inhalation and exhalation in music. Be conscious of your breath support and speed. Use natural breaths, but allow the rhythm of the breathing to be affected by the flow of the music. With a familiar piece of music, you already know events before they happen. so you can prepare. After doing this and getting comfortable, change and try breathing against your intuition. (It should be quite uncomfortable). Ask yourself: What does this say about the melody, and big-picture rhythm of the piece? Try a more complicated piece (Bach’s Jesu Joy of Man’s Desiring, or the Theme from Star Wars, perhaps). Breathe the smaller details. You can do this with a familiar tune in your head, or by studying a page of the music. For those who read music, try a piece by a classical composer (Beethoven and Haydn work well for this). Breathe every time you see/hear a statement of material. This can occur rather frequently. You may discover that you need to limit the breaths to short sips in places. Otherwise, you may become hyperventilated! Some places in the music will invite a longer expression. Remember: inhalation and exhalation: both gestures occur in the music. Whether you are working with a piano piece, string quartet or symphony, you will soon discover that composers overlap parts so as to disguise the musical breaths and provide more continuity. Try varying the breaths to make more (or less) from individual musical fragments. Hopefully you will find many different possibilities where you had previously seen merely repetition, or no possibilities at all. Finally, put it all together into the one longer, breathable phrase. Always remember that interpretation of individual units are contained in the bigger preparatory breath. Every little breath must “exist” in the preparation for the whole. This is how you can instill ideas within ideas. Just a reminder, until this time this is all happening in your head and with your breath. So now, make a joyful noise! Sing! It doesn’t matter if you have a good voice (as my ensembles will surely attest…). With the proper breath, the MUSIC comes through. Ask yourself: How does this change the concept of this music? Any new ideas? Obviously, you don’t inhale while singing, but now that you discovered ebb and flow, what does it do to the performance? Finally, if you are an instrumentalist, try playing the music. But always sing first. Eventually, as a musician we make choices. As listeners, we accept them. Many become part of something called “style.” Most are logical gestures of the music. But even within the strictures of “correct” performance, there are nearly unlimited possibilities. Be happy if you find just one new possibility. It may be a window to something else. Then remember to breathe again and realize that there may actually be one more still awaiting your discovery! Or, perhaps many more! The Greatest Stories Ever Played. It’s been widely discussed there are only a few basic stories ever told. Still, it’s rather amazing to think that something written thousands of years ago can be reinterpreted today and remain startlingly close to our current experience. This is why a tragic opera based on an apocryphal biblical book reset in Appalachia has a pertinent message (Carlisle Floyd’s, Susannah). Or why a movie adaptation of Homer’s Odyssey works as a comedy (O Brother Where Art Thou?). In essence these stories really have nothing to do with religion or ancient times. Rather they speak universally to how we negotiate life. People also move. Expression through body language is another element found in all societies. Some are much more developed than our Western traditions, such as Balinese dance and Chinese opera, where even subtle eye movements have meaning. Music to accompany these “movements with meaning” would eventually develop into the myriad of styles we today refer to as dance. From tribal dance to stately sarabandes, rhythm contains history and meaning. Even when you think about a Mozart Symphony, basically only these two elements are at work, albeit often together. A lyrical (singing) melody is combined with rhythmic elements that are derived from centuries of combined movement. It occurs whether we find ourselves in a strict formal application, an aria-like theme, or a brisk finale. Every dotted rhythm, metric arrangement or rhythmic pattern moves—the sinew of music. Every aria sings, whether played on clarinet, violin, or cello. There is certainly more to it than that, but the threads of musical creation lead to these two origins. But there is one additional element that is more elusive. This is the element of story. Music tells a story. This is obvious with music such as a simple love song, complex opera, or symphonic tone poem. But it also exists in so-called absolute music. Each piece tells a story and travels, like a story, through time. It has a start, a middle, a climax and a resolution. We humans are addicted to the concept of story telling, and it stands to reason that we will try to do it in every possible way. We report sporting events as if they are campaigns from Roman times. We enjoy reading novels, watching movies, and even follow Facebook to piece together elements of story. So it stands to reason that for music, as a human endeavor, we would do the same. At its basal level, lyricism, movement, and narrative are the strands that give music it’s meaning and tell its story. These are the strands that contain the “other” elements (the often complex ones you learn about in music school) and combine to produce a multitude of possibilities with an infinite number of interpretations. But this is not music school (although I play a professor in real life). This is a blog about finding meaning around, within, and, sometimes in spite of the notes. So, the next few posts will look at these elements with thoughts on how both musicians and audiences can experience, express and find meaning in music using these very quintessential threads. It’s the “star-stuff” of music, the building blocks of possibility. The way I see it, a novel by Mark Twain, a symphony by Brahms, or the journey of our own individual and collective lives are essentially the same thing. I’ve been thinking a lot about Beethoven’s Symphony No. 9 lately. Good thing, since I am conducting it on Saturday. Performing masterpieces often does that to me. Also makes me grumpy at times—just ask my family. Beethoven’s Ninth is every bit the overwhelming monumental work it is reported to be. It has not gotten any less daunting since the first time I conducted it (this is my second outing–I’ve also played it a few times). But what makes it such an unrivaled masterpiece? And why is it approached and programmed with more care than almost any other work? The answer lies in the entire package. It’s not the meaning of the text, the difficulty of the score or any esoteric agenda in the notes that make it any more challenging than any other piece. It’s the combination of all those, and more: a case of the whole being greater than the sum of its parts. Beethoven wrote the perfect piece. His message is clear. And it is a test to express it. So, this new blog is an attempt to elucidate the “Space Between the Notes.” (Thanks to Claude Debussy for that quote). In Beethoven, and especially the Ninth, that space is very personal, yet also universal within all of us. There is not a single wasted marking or extra note in the score. Every indication has meaning and needs to be played with care and purpose. And when we do this we discover what resides between those notes—our true self, the essence of our humanity. We are laid bare by this music. Every emotion, fear, memory, and hope is embodied and transformed in this work. 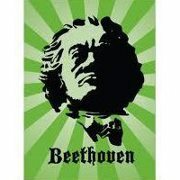 Beethoven, living a very personal life of suffering, chose hope over despair, possibility over resignation. The music demands the musician to do the same. The music invites both the audience and musician to imagine the possibilities, to join the boundless future for all mankind. Together we realize it is our own destiny as well. Too deep for you? Well, it’s also one hell of a ride if you like soaring melody, intimate expression, engaging rhythms and inspired counterpoint. So whatever floats your boat about the piece, come check it out. Libby Gardner Hall, 7:30 p.m. Saturday, March 17th with the Salt Lake Symphony and the Utah Voices. Some great soloists, too: Jennifer Larsen, soprano; Kirsten Gunlogson, mezzo; Robert Breault, tenor; and Steve Meredith, bass.